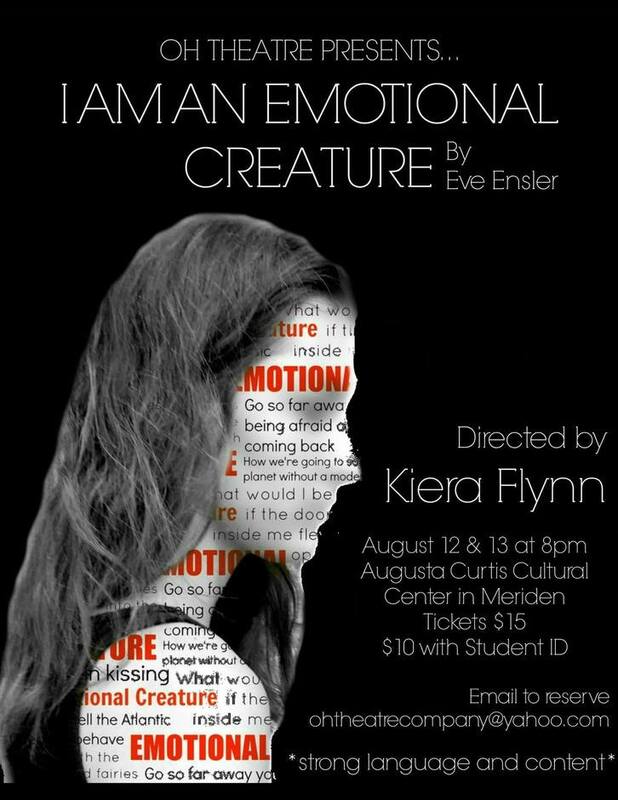 We are pleased to announce our support for the OH Theatre Company in their upcoming production of "I am an Emotional Creature" on 8/12 and 8/13. We learned about the Company (created by alumni from Platt High School) and their interest in putting on a production this summer and thought, "This is exactly the kind of creative, social endeavor that Q. Walter would have loved." We are happy to be a major sponsor of the performances, which helped the group purchase scripts and the rights to the show. The group has generously offered to donate back a percentage of ticket sales for anyone who attends as a result of our partnership. We hope you'll join us in attending! Reserve your tickets for either show and mention the Q. Walter Peabody Foundation and 33% of your ticket purchase will be donated back to our sponsorship fund. It's a win-win for everyone! Reserve your tickets by email or through Facebook. I can say everything about this blog, I am very happy to know about this blog http://www.assignmenthelperuk.co.uk/psychology-assignment This blog always giving us a lot of information about essay reviews,keep doing in the same way. Peaceful entry has been made possible for the right and independent individuals for the future times. Now the role of the visits of http://ukessaysreviews.com/grademiners-co-uk-review/ has been highlighted for the fluctuations and all methods for the people.